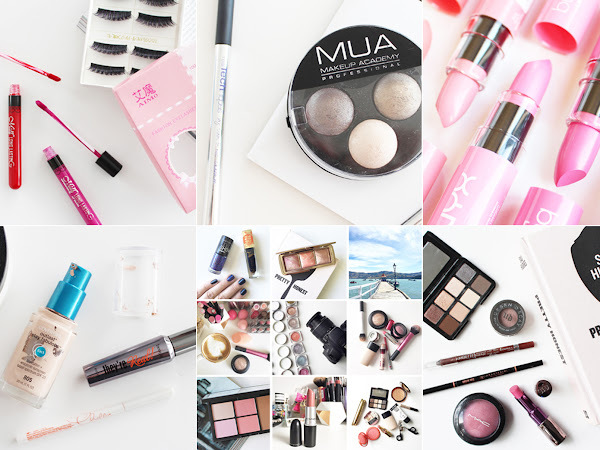 The short month of February is wrapping up, so it's time to talk things that I absolutely loved during Feb. 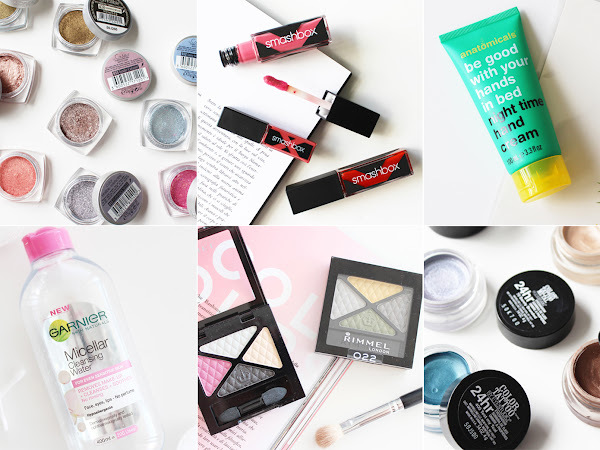 I will admit that this month I sort of stuck with products I know and love, so wasn't really branching out, but these few products stood out as my top picks for February. 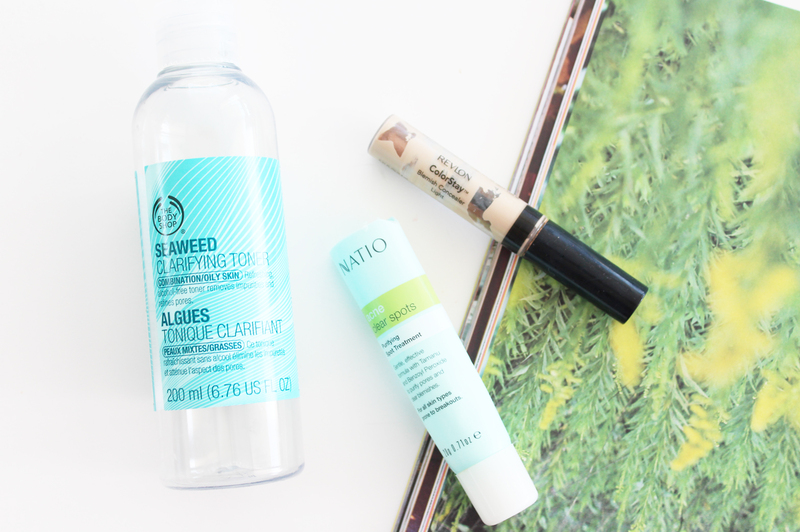 As the short month of February draws to a close it's time to share the products I used up this month. 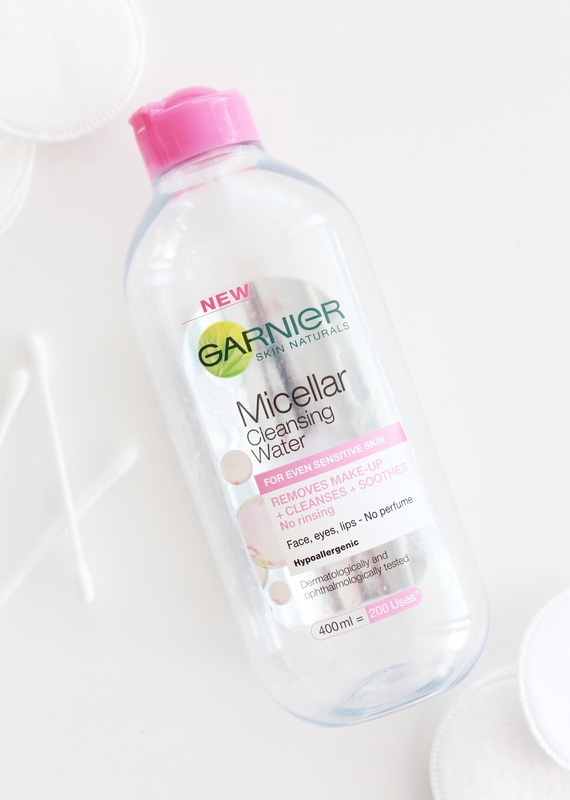 There's a good mix of skincare and makeup this month, so read on if you want reviews and to see whether I'll be repurchasing certain products again. 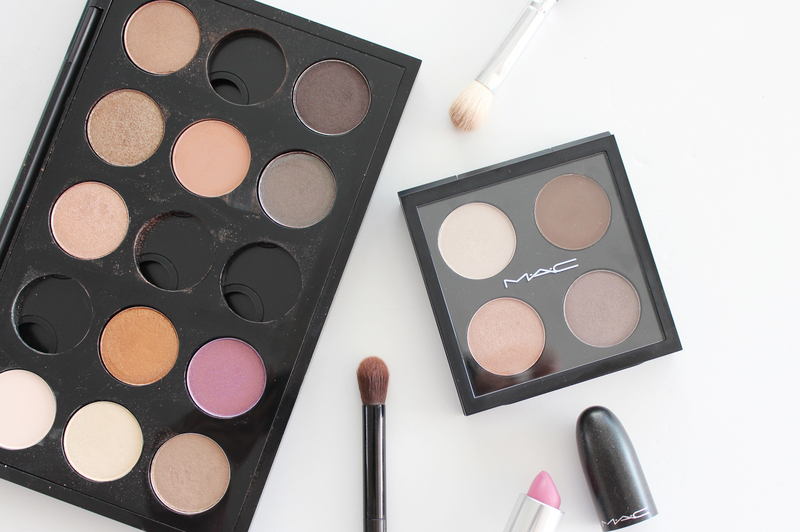 I adore my custom MAC 15 Pan Eye Shadow Palette (full details here and here), and it could possibly be one of my most prized makeup possessions. I got it for my birthday last year and carefully chose each shade after lusting over them for a year before hand and doing a lot of research. 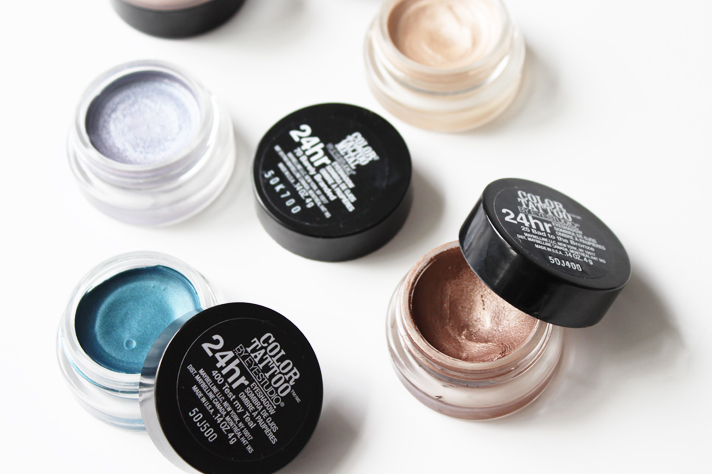 Overall I really am happy with the shades I got, but there is of course more shade I want to add to my collection! Although I love this palette, it's not very travel friendly so I recently got a smaller empty quad to fill it with my current favourites or shades I want to travel with. 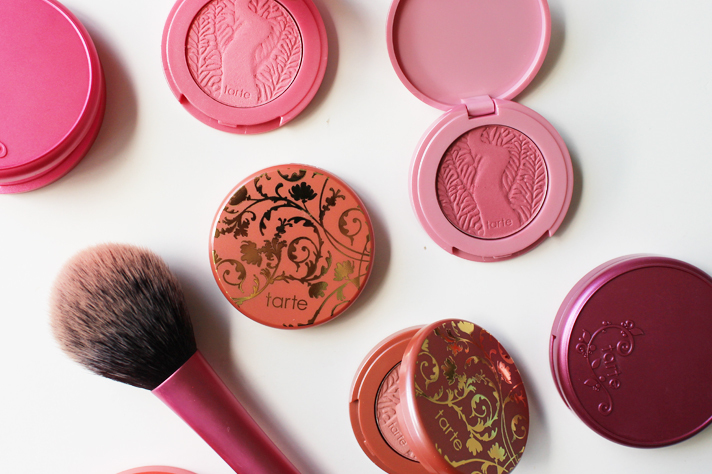 It means I can dip in and out of my 15 Pan, and curate my own different quad each time. 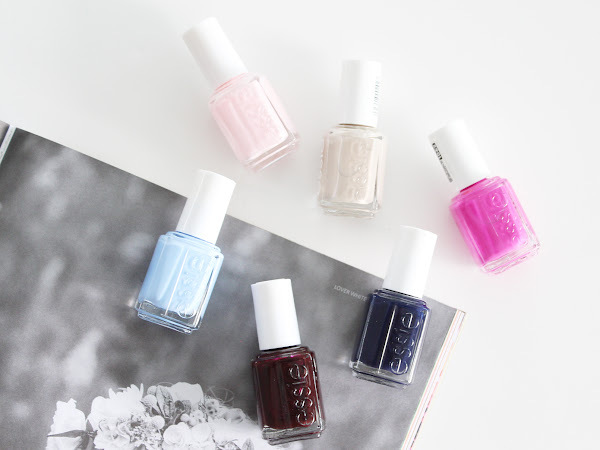 Following on from my Essie Nail Polish Collection post a week or so ago, I thought I would share six shades from Essie that I think should be in every girls polish arsenal. There is a colour for almost every event, season or outing, and these are all some of my all time favourites from the brand. 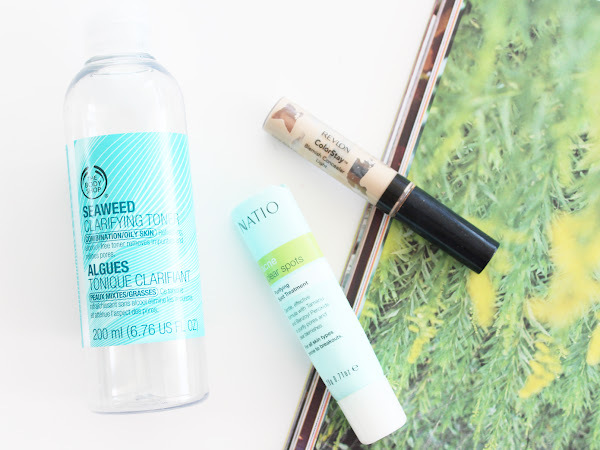 As a combo/oily skinned gal, I thought oils would be a total no-go and I avoided them for the longest time. 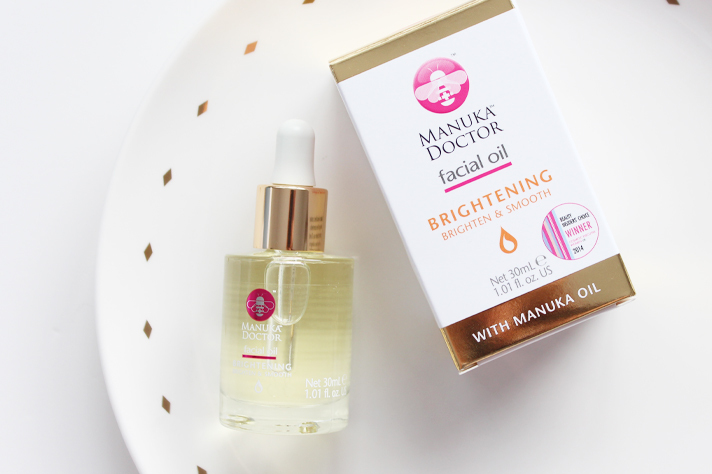 But since reading a lot of blogs over the past year or so I've delved into the facial oil world with great results. 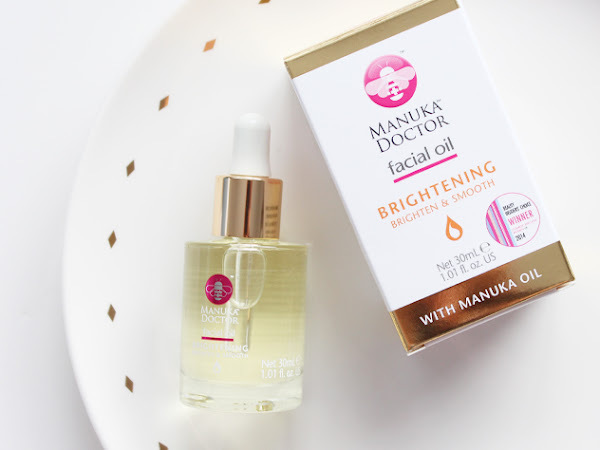 I am a huge fan of the Trilogy Rose Hip Oil (review here), and adore the Linden Leaves Miraculous Facial Oil, so when I was sent the Manuka Doctor Brightening Facial Oil* I was ready to slather this on my skin. 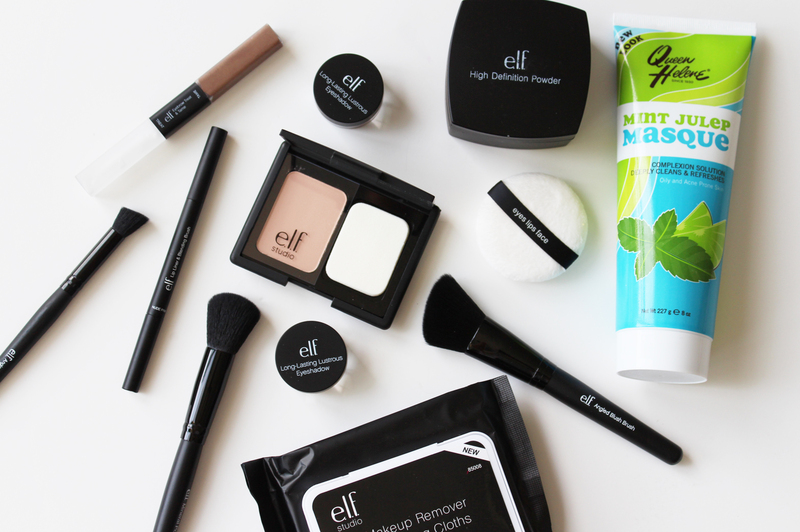 Why hello, hello Sunday! I am mighty pleased to see you (only because I have Monday and Tuesday off work, so it's technically the start of my weekend, oh the joys of retail!) 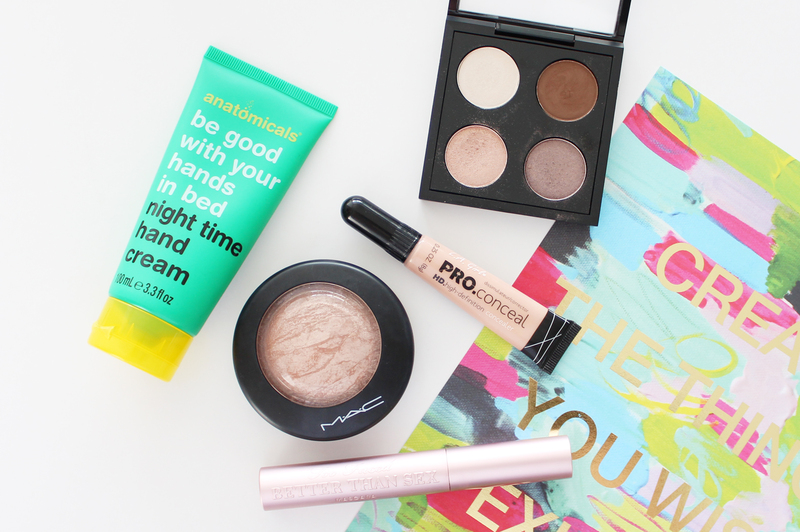 Anyway, this week on the blog was jam packed as per usual. 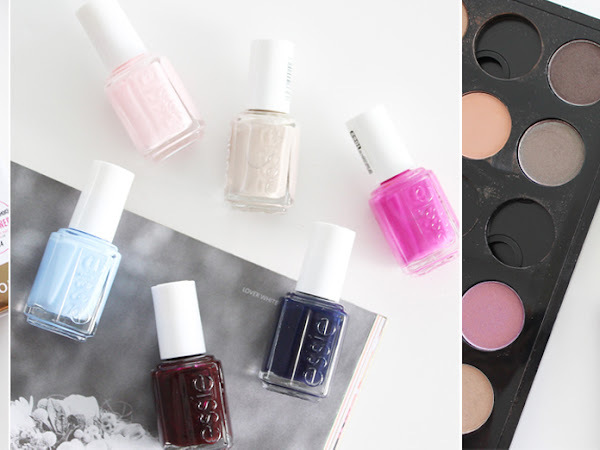 I carried on from my Essie Nail Polish Collection post and shared a couple more 'collection' related posts, raved about an old product that is finally getting a release in NZ and reviewed some lip lacquers among other things. 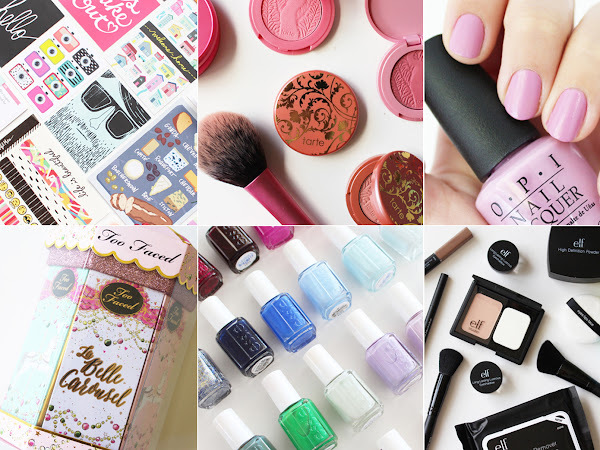 Here are the posts you might have missed out on over the past six days. 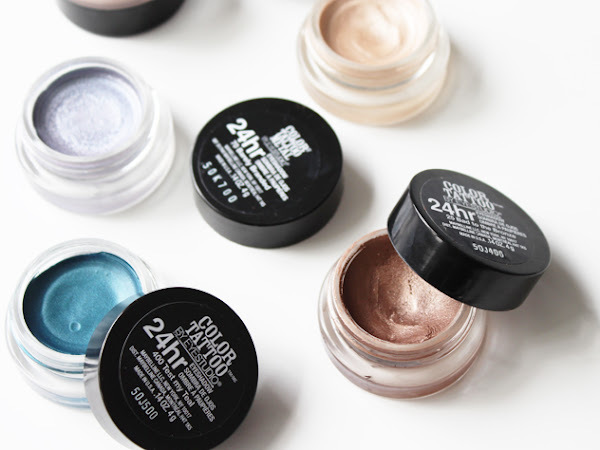 You might have noticed that I have really been enjoying sharing 'collection' style posts with you, first there was my Essie collection, then my stash of the L'Oreal Infallible Eyeshadows, and now today I'll be talking about my collection of six shades from the Maybelline 24hr Color Tattoo Cream Shadow range. 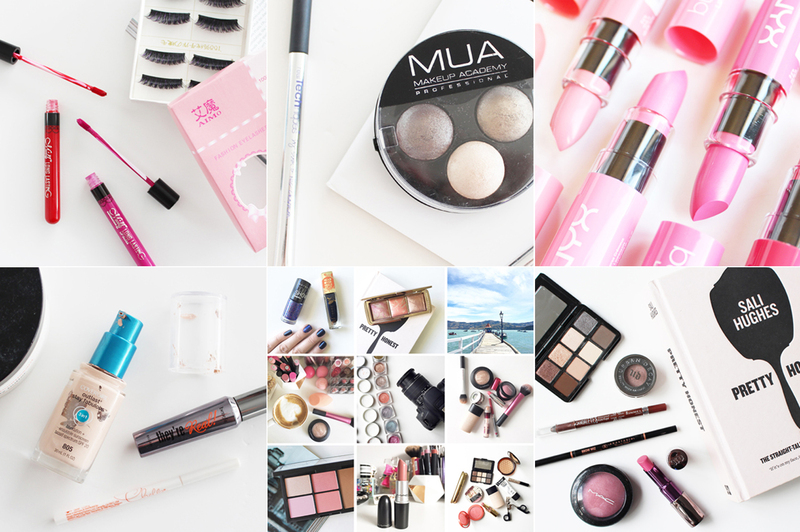 Although I absolutely love 'drugstore' makeup products, I think one thing that they lack, especially from the brands available in NZ, are eye shadow palettes. 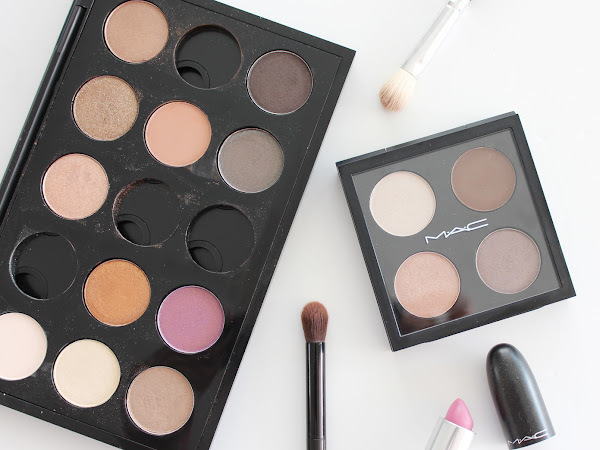 Obviously the big brands such as Urban Decay, LORAC and NARS hit it out of the park when it comes to palettes but the cheaper brands don't tend to live up to that standard. 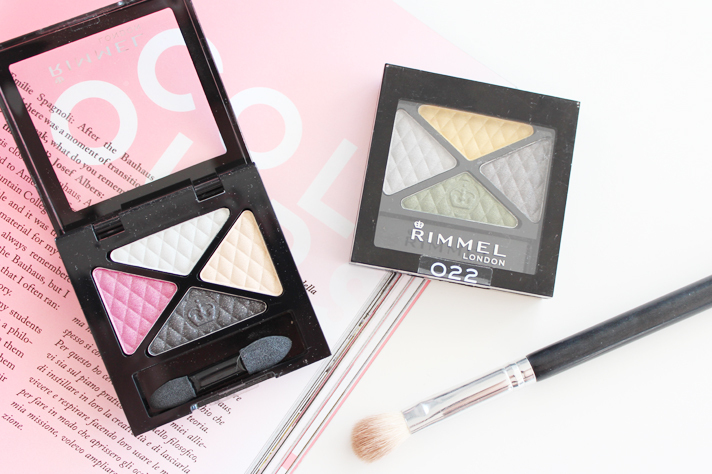 Lately I've been on the hunt to find some amazing ones (Chi Chi Palettes are the best so far here and here), and although I don't think these Rimmel Glam'Eyes Quads meet the standard of the higher end palettes, they are definitely great entry level palettes. 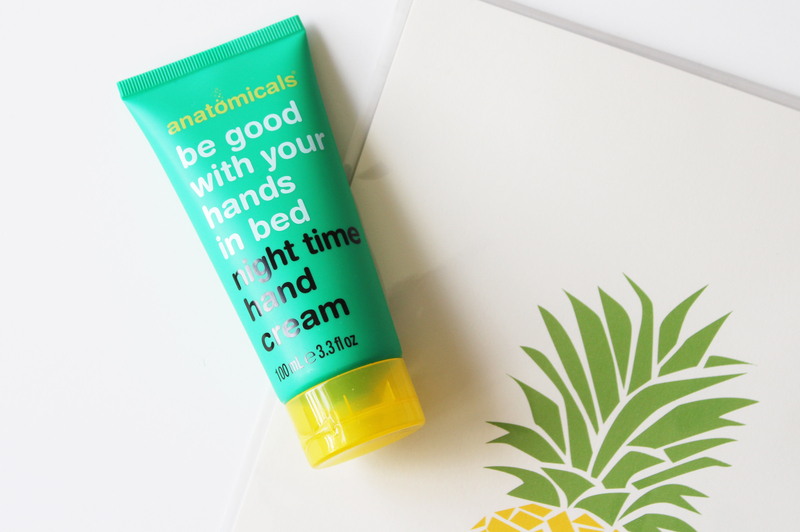 Hand creams are a bedside essential for me, I can't go to sleep without slathering one on and letting it work it's magic on my hands while I snooze the night away. 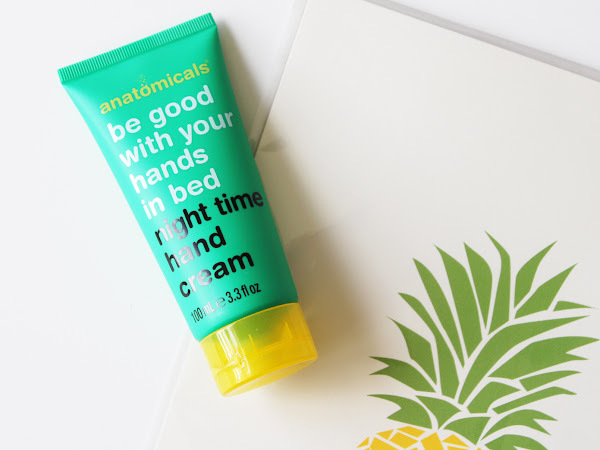 This new offering from anatomicals Be Good With Your Hands in Bed, Night Time Hand Cream* (longest, but best name for a hand cream! 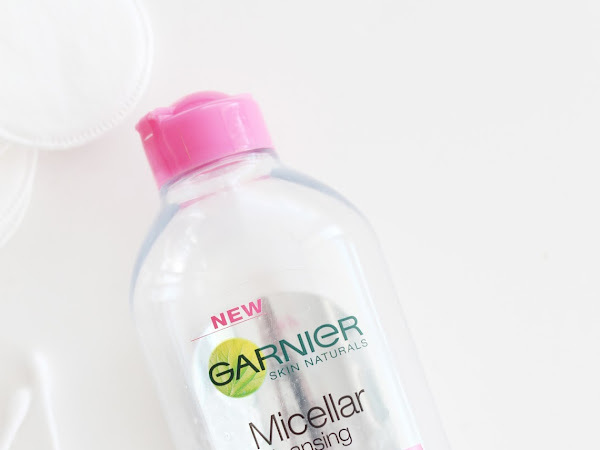 ), is cheap, smells amazing and does it's job mighty well. 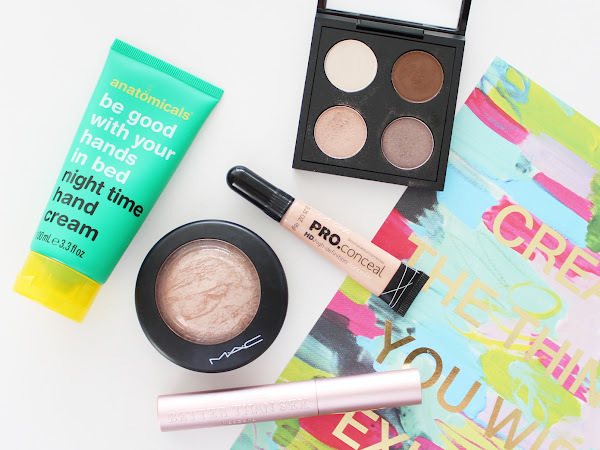 Smashbox is a brand that I hadn't used anything from until I started blogging, although it's a brand I was always interested to try out. 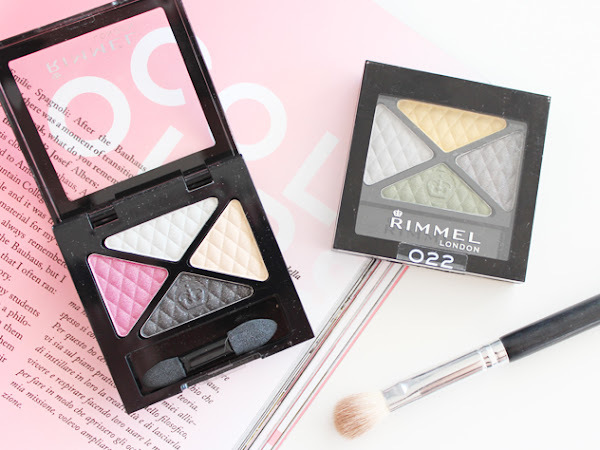 My first piece of makeup from them was the Fade To Black Photo-Op Eyeshadow Palette (review and swatches here), which I use a lot and think it's a great palette. 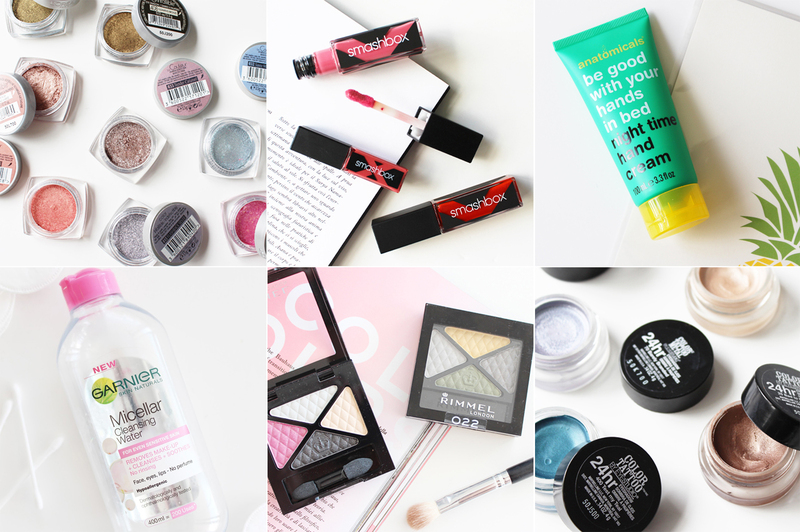 Since then I have got more and more Smashbox products and was even lucky enough to be sent two of the new Be Legendary Long-Wear Lip Lacquers* which I'll be reviewing for you today. 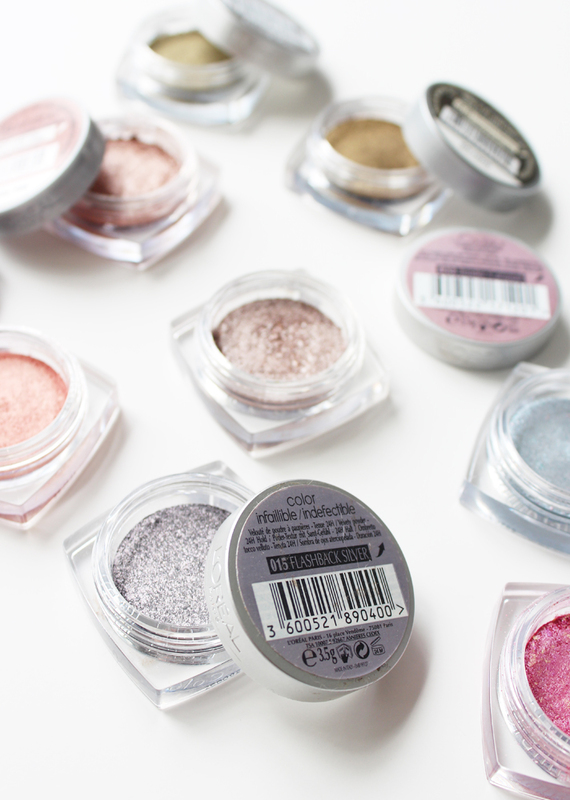 I've talked, and raved about these a lot in the past, and these eye shadows from L'Óreal most definitely deserve it. 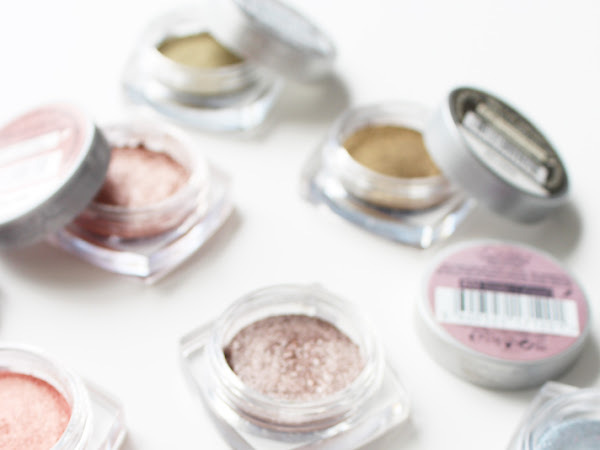 I thought I would bulk together my growing collection of the Infallible Eye Shadows and share swatches on each shade I have, in somewhat of a master post, and give you some thoughts on why I love these so much. Hello Sunday, and hello to the WPC number 41! I hope all my lovely NZ readers had a great long weekend, mine was mostly spent at work, but I didn't mind too much. 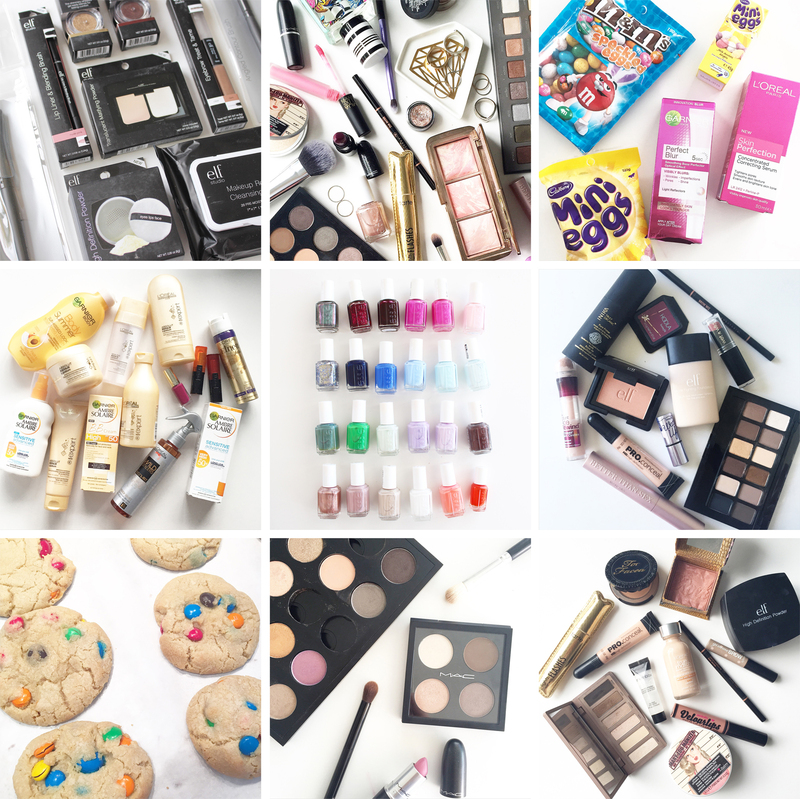 This week was packed with some pretty great posts (if I do say so myself!) 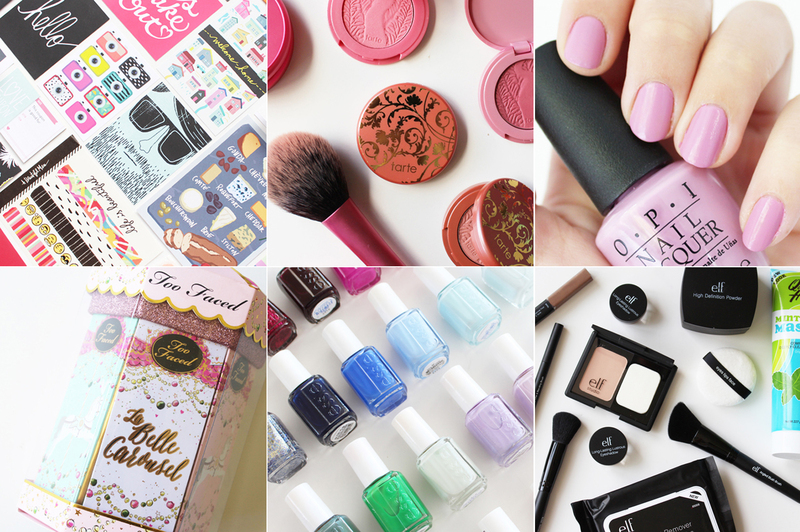 There was stationery, limited edition Christmas sets and a big old Essie collection... have a read of what went down on CM this past week. 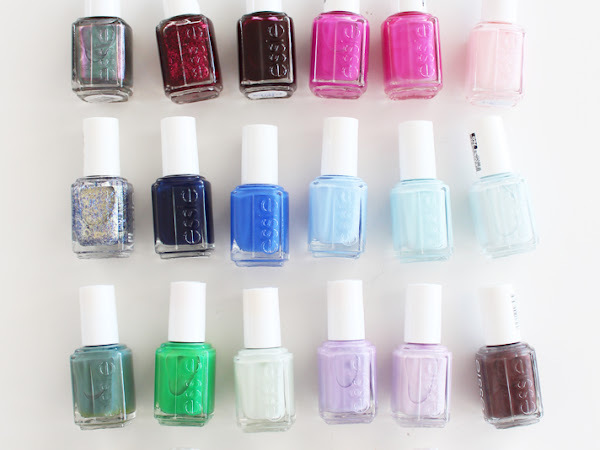 Hello, my name is Cass, and I am a nail polish addict. Yep I said it, and I'm totally not ashamed to admit it. 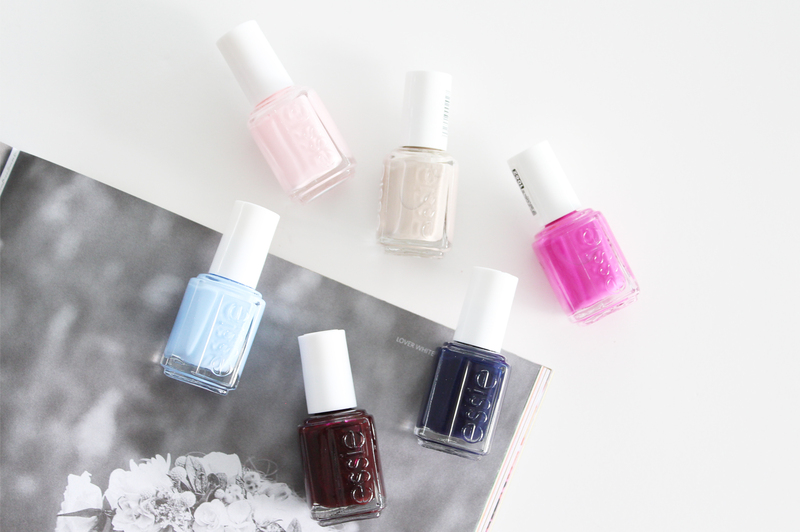 If you're a long time reader of CM you'll know by now I have a fair few polishes in my collection, so today I thought I would share with you my current Essie nail polish collection, inspired by one of my favourite bloggers, gh0stparties, who did a similar post a few months back here. 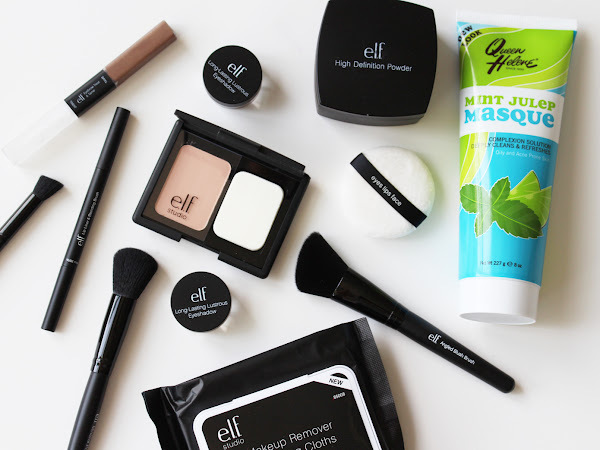 Firstly, I am going to have to apologize for featuring this set because I imagine it is now long gone and sold out in many places; but if you are lucky to find it on Amazon, an FB makeup buy/sell page, I suggest you buy it. Like, as soon as you see it. I did debate whether I should post about this or not, but it is such a beautiful thing I just had to share it! 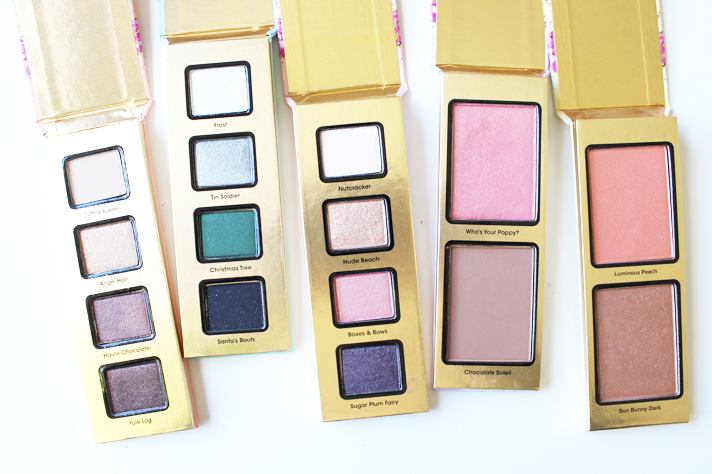 This is the Too Faced La Belle Carousel that was released as part of their 2014 Holiday Collection. I luckily enough nabbed this while in the States at Sephora late last year and I have been slightly obsessed with it ever since. I have been totally into lilac and purple nails this summer (see this NOTD from a couple of months ago featuring another gorgeous purple shade here), so it's no surprise I reached for this beautiful polish from OPI in the shade Lucky Lucky Lavender. 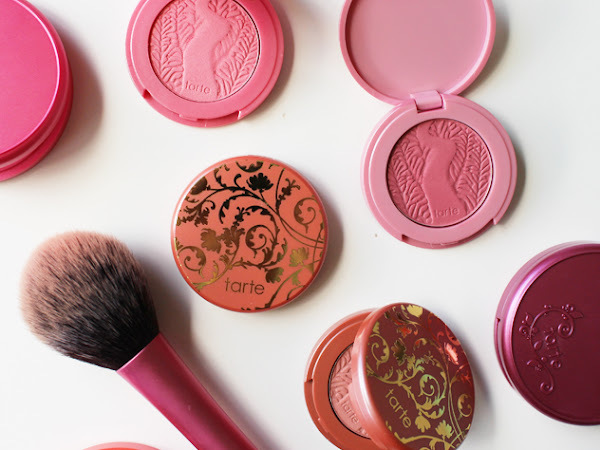 One makeup product I can't get enough of is blush, particularly the Tarte Amazonian Clay 12hr Blushes, which I discovered early last year and feel in love with. 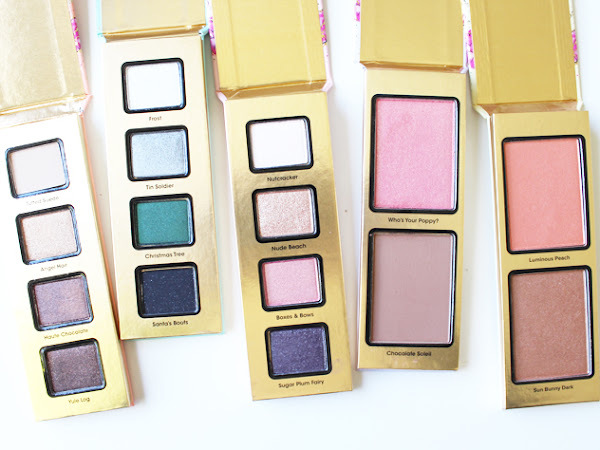 These blushes are some of the best out there, so when I saw the limited edition Sweet Dream Mini Set released for Christmas 2014, I was beyond excited and desperate to get my hands on it. Luckily enough I went to the US at the end of November last year and found the set at Macy's and ran with it to the till! 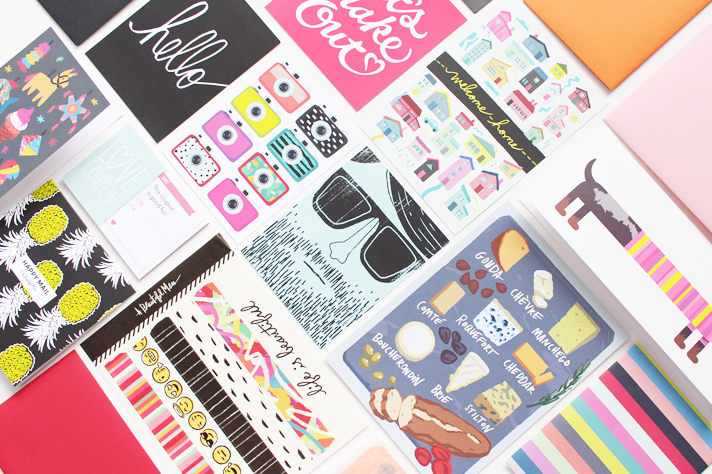 It wasn't that long ago that the December Happy Mail arrived, and now the January box is here already! Not that I am complaining though, this has become one of my favourite things to get each month. 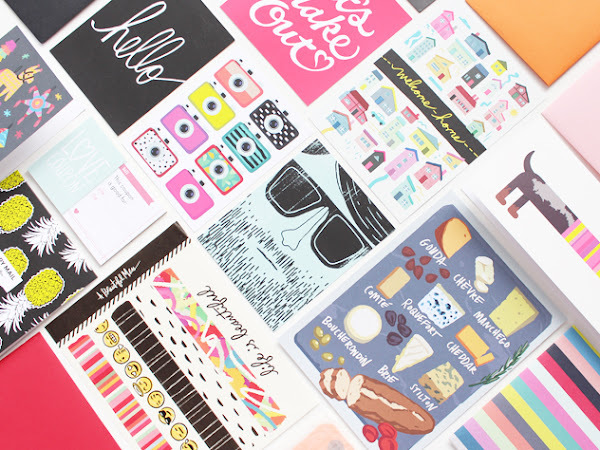 If you missed my last post about Happy Mail, basically it is a monthly subscription service started by the A Beautiful Mess team where you sign up and are sent a box filled with various stationery and crafting goodies that has a retail value of around $50. If you have been a bit slack on the old blog reading (I know I have; my Bloglovin' feed is over flowing with new posts for me to read), here is your chance to catch up on some posts you might have missed over the past week on CM. 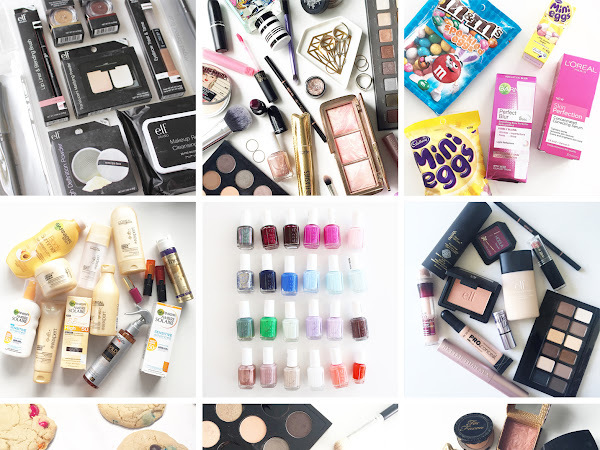 As it was the end of the month and we're now welcoming in February today (craziness), there was the usual monthly round up posts; Empties, Instagram and Most Loved, as well as some reviews and product features also.